But these days, thanks to WTI out of band management products, accessing equipment at remote towers and outdoor enclosures doesn’t really need to be this challenging. If your rack space includes a WTI out of band management hybrid, then many equipment problems can be diagnosed and corrected remotely, without expensive truck rolls and long delays while support personnel travel to the distant site. With a DSM or RSM console server in place, all you need to do is contact the console sever via secondary network or dial-up, establish a connection with a console port on the misbehaving router or malfunctioning server, key in a few command lines and you can be up and running again in no time. 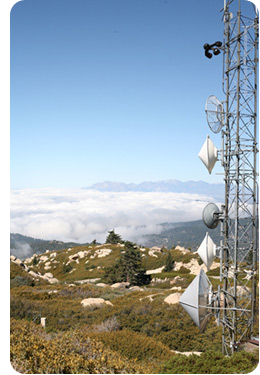 In cases where an individual administrator is responsible for managing multiple outdoor enclosures spread across a wide network, it can often be somewhat of a challenge to locate the correct out of band management unit for a specific cell tower or microwave tower. WTI out-of-band management products simplify this procedure via our unique Enterprise Management Software. 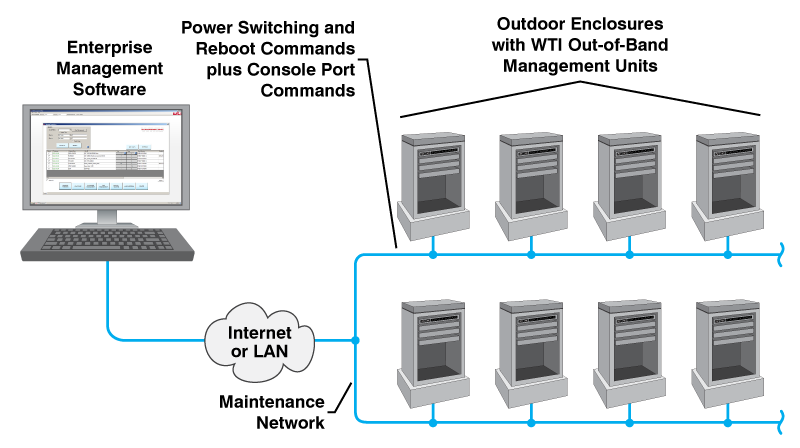 The WTI Enterprise Management Software allows administrators to find and store all WTI out-of-band management units within a user-defined IP address range, and then assign tags which describe the location and/or function of each unit. In addition to providing a centralized interface for controlling power reboot functions and accessing console port command functions on remote devices, the Enterprise Management Software can also be used to perform firmware updates for units in inventory or edit user accounts on multiple units via a centralized command interface.